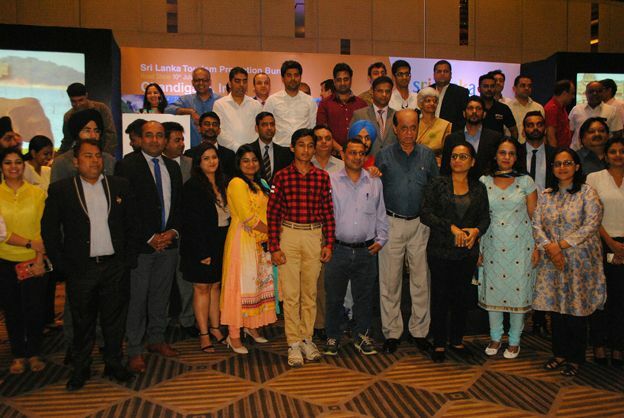 25th July, 2018 – Colombo: Showcasing Sri Lanka as a ‘must visit’ tourist destination, Sri Lanka Tourism hosted seven city roadshows to amplify Sri Lanka’s position as the most preferred short haul holiday destination for Indians. 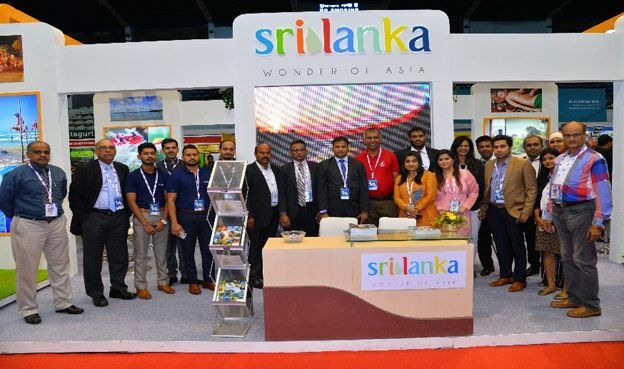 The show which was attended by over 90 tour agents, many tour operators and Indian tourists alike garnered renewed interest on Sri Lanka. Sri Lanka has seen a spike in Indian tourist arrivals numbering 3.84 lakhs last year. Officials expect the numbers to go up to 4.50 lakhs this year. “Sri Lanka has gained popularity and has experienced robust growth in Indian tourist arrivals. 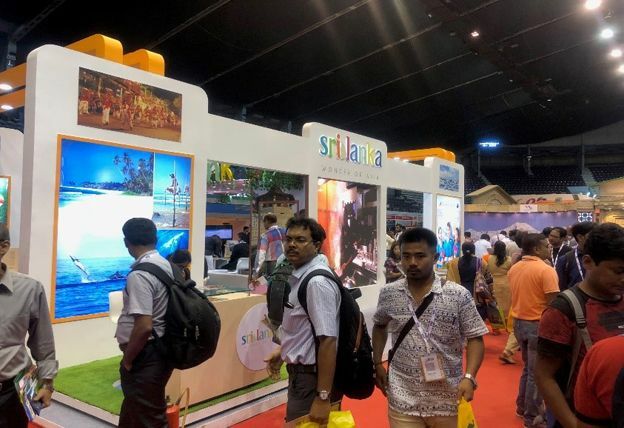 The objective of the roadshow was to enhance the visibility among the travel, trade and consumers to position Sri Lanka as the preferred destination, particularly the Ramayana Trail sites which are widely scattered across the country,” said Sutheash Balasubramaniam, Managing Director, Sri Lanka Tourism Promotion Bureau said. 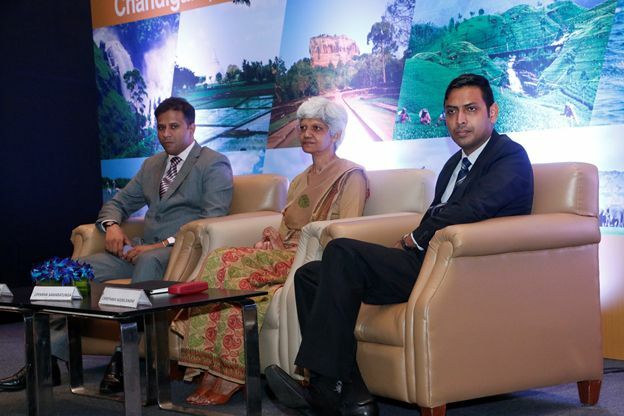 Sri Lanka Tourism held roadshows in Chandigarh, Kolkata, Japiur, Hyderabad. The roadshows facilitated B2B meetings followed by presentations by the Tourism Promotion Bureau and Sri Lankan Airlines. India is one of the top 5 tourists’ arrival markets in Sri Lanka. 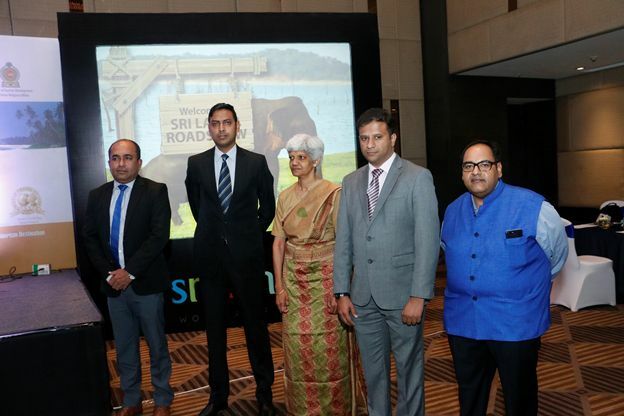 While Sri Lanka is one of the top 10 holiday destination for Indian travelers, so with this roadshow, the tourism board look forward to extend its reach beyond metro cities of the country. The events were attended by Upekkha Samaratunga, Minister (Commercial) Sri Lanka High Commission in New Delhi, Viranga Bandara, Assistant Director of Sri Lanka Tourism Promotion Bureau, Chinthaka Weerasinghe, Manager- Northern India, Srilankan Airlines and other dignitaries. The participants from Sri Lanka included Apple Holidays, Jetwing Travels (Pvt) Ltd, Asian Adventure Travel Management company, HTCEY Leisure Pvt ltd, Walkers Tours Limited, Hamoos Travels, Karusan travels, Luxe Asia, Green Holiday Center, Riu Hotel & Resorts, Bernard Tours (Pvt) Ltd, Lanka Reisen Ceylon (Private) Limited, Exotic Global Holidays, Esna Holidays Pvt Ltd, B.O.C. 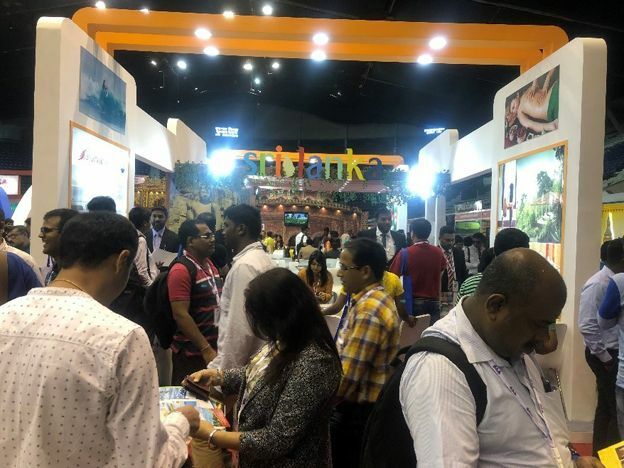 Travels (Pvt) Ltd and Travelwind Holiday pvt ltd, along with Sri Lanka Tourism officials and Sri Lankan Airlines’ officials, who showcased unique tourism offerings, latest developments and exclusive products for India market. 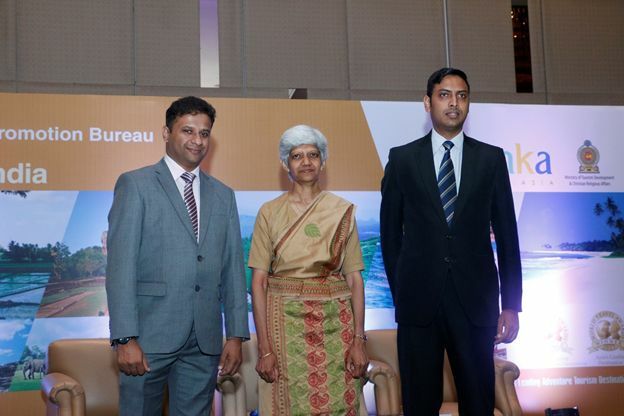 The 7-city roadshow was aimed at strengthening the tourism relations between travel partners of both the countries and are part of SLTPB strategic efforts to showcase Sri Lanka as the most preferred short-haul holiday destinations for Indian travelers.